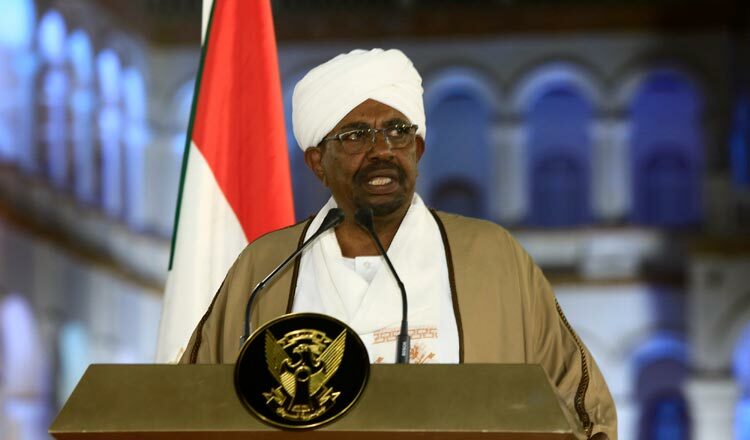 KHARTOUM (Reuters) – Sudanese President Omar al-Bashir was forced to step down by the military yesterday after three decades of autocratic power, and moves were under way to form a transitional council to run the country, Sudanese sources said. Government sources and the minister of production and economic resources in North Darfur, Adel Mahjoub Hussein, told Dubai-based al-Hadath TV that Mr Bashir had stepped down and consultations were taking place to form a ruling military council. Sudanese sources told Reuters Mr Bashir, 75, was deposed by the army and was at the presidential residence under “heavy guard”. The military will make an announcement soon, state television said as troops deployed around the defense ministry and on major roads and bridges in the capital. Soldiers stormed the headquarters of Mr Bashir’s Islamic Movement, the main component of the ruling National Congress Party, a Reuters witness said. Thousands of people flocked to an anti-government protest outside the defense ministry, while huge crowds took to the streets in central Khartoum, dancing and chanting anti-Bashir slogans. One protester, speaking to Arabiya TV, said reports were circulating that Mr Bashir’s deputy and Defence Minister Awad Mohamed Ahmed Ibn Auf would replace him, but this was unacceptable to the demonstrators. “We expect good news, joyful news that we have awaited for 30 years,” demonstrator Nadine Ala al-Din said. Kamal Omar, a 38-year-old doctor, said a military government would not be acceptable. “We will continue our sit-in until we prevail”. It was not known what would now happen to Mr Bashir. Sudan has suffered prolonged periods of isolation since 1993, when the United States added Mr Bashir’s government to its list of terrorism sponsors for harboring Islamist militants. Washington followed up with sanctions four years later. The latest crisis has escalated since the weekend, when thousands of demonstrators began camping out outside the Defence Ministry compound in central Khartoum, where Mr Bashir’s residence is located.